Pastors are constantly in search of ways to connect to their parishioners through their sermons,and one of the most effective ways to do this is through the use of contemporary movies. InHearing a Film, Seeing a Sermon, New Testament scholar and pastor Timothy Cargal teaches pastors some of the basics of interpreting films so that they can integrate insights about popular films into their preaching. 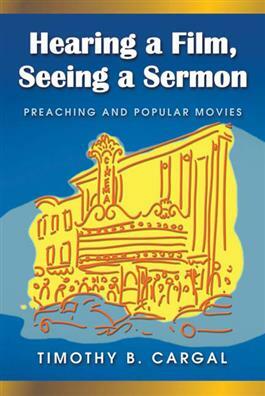 He explains how people see and think about movies and then demonstrates for pastors how this connects with the way parishioners comprehend Scripture and theology. In addition, he offers several of his own sermons as examples of effective ways to use movies, including The Lord of the Rings, Spider-Man, The Passion of the Christ, In Her Shoes,Bruce Almighty, and others, in preaching.